for All ACE, RZR, General and RS1 Models. Sold per pair. 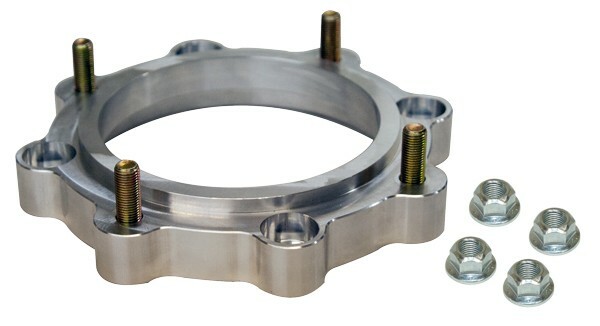 These wheel spacer kits allow you to widen your RZR for more stability when running high speed tight trails/roads or crawling over the nastiest rock piles. It does so by giving you an additional 7/8" or 1 3/4" width per side (1 3/4" or 3 1/2" overall). They are manufactured from high quality billet aluminum and are precision CNC machined to ensure perfect fit and proper balance. These wheel Spacers can be used on most RZR models with some limitations based on wheel offset and tire size, see our recommendations below. Simple bolt on installation with no permanent modifications Sold per pair. 7/8 Wheel Spacers. 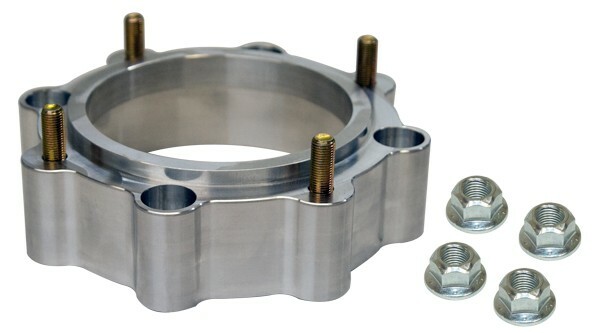 These wheel spacers can be used on most RZR models, and we find the most popular applications are RZR-S, RZR-4 and RZR XP 900 models to give them more stability. They also work great on 50" RZR models if using lager than 26" tires or aftermarket wheels with more offset than stock (this is the maximum width that can be used and still keep the tires from contacting the rear of the front fender well when turning and going through the bumps). They also allow the use of 12" wide rear tires on stock wheels without contacting the frame (50" RZR 800). 1 3/4" Wheel Spacers. These wheel spacers can be used on most RZR models, and we find the most popular applications are 50" 570/800 RZR models using 26" tires or smaller and stock off set wheels. This provides the 50" 570/800/900 RZR much more stability and they can be removed easily to return to stock width for running 50" trails. Larger tires and offset wheels can be used, however, some further modifications such as fender trimming or lift kits may be necessary for proper clearance depending on the model. 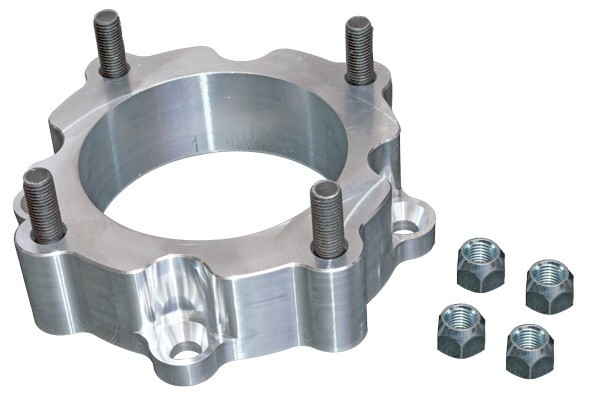 These spacers can also be used for extra width on the XP 900/1000, 800/900 S, XC and 800/900/1000 RZR-4 models Wheel spacers on 50" 900 models will only fit up to a maximum tire size of 29"